The start of our second week… thanks for being here. And there was some significant news on Friday — a new nominee to be the Obama administration’s chief technology officer — Todd Park. Park has been serving as the chief technology officer at the Department of Health and Human Services. He is an awesome guy… and he has done some remarkable things. We’ll chat about that more later… And HHS has also named Frank Baitman as the new chief information officer at the HHS. Baitman has served most recently at FDA and SSA. That post has been filled in an acting capacity for some time. And did you order an iPad HD? Well, if not… Apple’s cupboards are bare, for the moment. Apple’s good marketing aside, it mostly means you have to wait a bit… like a few days. No need to panic. Accountability — we’re always talking about accountability in government, right? As if there isn’t enough accountability… but sometimes people don’t feel really responsible for the agency’s goals and mission. We’re going to talk to a professor who has studied this subject — and he’s written a new book… Stepping Up: How Taking Responsibility Changes Everything. We’ll talk to him about responsibility. Ever have a big of a fight with somebody at work? Nothing physical, but… is there a way to have happy conflicts? Seem too good to be true? We’ll talk to an expert about how you can turn a negative into a positive. The GovLoop Insights Issue of the Week is changing a few for December. Generally, we try to find a issue — a person — an idea — that helped define the past 7-days… and we always work to find an issue that will also will have an impact on the days, weeks and months ahead. And, as always, we focus on six words: helping you do your job better. For the month of December, we are taking a break from the issue of the week — and we are taking a look at the issues that defined government for the year. And we’ll unveil the issue that defined 2011 later this month. But that gives us a few weeks to look at a few of the big issues of the year. And this week, we’re going to talk about cyber-security and making sense of big data. But first, a look at some of the big stories for the end of November and the beginning of December, 2011 — yes, the final month of the year. Chris Niedermayer, the Deputy CIO for Business and IT Modernization at the Department of Housing and Urban Development, has announced internally that he is retiring after 33 years of public service, the DorobekINSIDER has learned. His last day will be Dec. 3. He has told friends that he plans to take two or three months off to “decompress” and that he will start looking for new opportunities after the new year. Niedermayer is well respected in the government IT community having worked in a number of key posts, most recent at the Patent and Trademark Office, and before that at the Agriculture Department. He was recruited by HUD CIO Jerry Williams to be a key part of the IT leadership team at the Department of Housing and Urban Development. Earlier this year, Niedermayer was struck with Lyme Disease. After a tough battle, he has now fully recovered. Read Niedermayer’s full bio… after the break. It was a difficult week to find a single topic that defined the week. As always, our goal with GovLoop Insights Issue of the Weekis to look at an issue — a person — an idea — then helped define the past 7-days… but we also work to find a topic that also will have an impact on the days, weeks and months ahead. And, as always, we focus on six words: helping you do your job better.I was at the 21th annual Executive Leadership Conference, hosted by the American Council on Technology and the Industry Advisory Council, took place last week in Williamsburg, VA. And I helped to lead an UNsession talking about government innovation. (I’m still looking for your thoughts: How would you finish the sentence: “I can help government innovation by…” I’d love to hear what you think. )In the end, we decided to talk about innovation… and to close out Cyber-Security Awareness Month… by talking about cyber-security innovation. We start with the technology story of the week… which was… the first speech [PDF] by the new federal CIO, Steve VanRoekel. Unfortunately he didn’t speak to an audience of government executives — the 21st annual Executive Leadership Conference was going on this week. VanRoekel decided to speak to an audience in California — specifically, at Palo Alto’s storied PARC headquarters. That aside, it was the federal CIO’s first speech since he took that post nearly three months ago. And he stressed that his focus will be to drive innovation in government and make investments in technology that better serve the American people. He detailed specific initiatives inside each of the administration’s focus areas — maximizing IT return on investment, improving citizen and business interaction with agencies, closing the so-called productivity gap and cybersecurity. I’ll have a round-up of stories about the speech soon on DorobekINSIDER. Staying in technology… what are the challenges facing state technology executives? The National Association of State CIOs has just published its annual list of the strategies, management processes and solutions [PDF]. Topping the list — it will be no surprise to you: consolidation — and I would add, doing more with less. Number two is budget and cost controls. Security comes in at number six… and mobile comes in at number 10. The top tech priority for state CIOs, according to NASCIO: virtualization. Read full list [PDF]… GovLoop is also asking you for your thoughts about the priorities and technologies that will help you do your job. Our management story of the week… well, it also involves technology… it’s the ongoing troubles with the government’s job site: USAJobs.gov. We’ve told you over the weeks that the Office of Personnel Management rolled out a brand new version of USA-Jobs, but the new site has been plagued with problems. The Washington Post reports that the site would crash repeatedly, error messages popped up over and over, résumés disappeared, passwords were obliterated. In some cases, it even got geography wrong. Searches for Delaware, for example, turning up jobs in Germany. And Federal Computer Week notes those problems were having an impact. An analysis indicates that the number of resumes coming in through the new site is at least 60 percent less than the earlier version. And now lawmakers are asking the federal CIO to step in to help. In gov 2.0 news… The Department of Veterans Affairs named RelayHealth as the winner of its “Blue Button for All Americans” contest. The Blue Button allows veterans across the country to download their health data. Even better: McKesson’s RelayHealth announced that it is donating the $50,000 prize to the Wounded Warrior Project, which supports programs that assist injured Servicemembers, Veterans and their families. Awesome — all the way around! Our budget story of the week… is, of course, the super-committee, which is facing a deadline just before Thanksgiving to make its recommendations on cuts. And there is a lot of back-and-fourth fighting going on. At the Executive Leadership Conference this week, a congressional staffer suggested that agencies should expect significant budget cuts. We’ll continue to watch it, of course. One from the Harvard Business Review about government start-ups… Government “start-ups” — new agencies, offices, or initiatives — have the potential to be a powerful tool for solving critical policy problems at the local, state, and federal levels. But while creating the “new and the nimble” within an established bureaucracy is a well-known art form in the private sector, governments are still struggling to do it effectively. Read more — we have the link online. FastCompany has the story about the Silicon Valley’s new hiring strategy for IT: NOT hiring PhDs. And are you having trouble finding the right person for the right job? In the Wall Street Journal, this week, a piece on why companies are facing the same challenge. Finally, social media experts… some feel uncomfortable with that title. The EPA’s Jeffrey Levey explains on GovLoop. Lisa Schlosser has been appointed the next deputy administrator in the Office of E-Government and Information Technology in the Office of Management and Budget. She will start in that post on July 5, sources tell the DorobekINSIDER. In that role, she effectively serves as the deputy federal CIO. She will replace Mike Howell, who left the OMB post late last year to become deputy program manager for the Information Sharing Environment. Schlosser is widely respected within the CIO community and she has an impressive resume having experience across a wide variety of issues, including cyber-security. She also served as a military intelligence officer for the Army. Her efforts have also been recognized with Federal Computer Week’s 2008 Fed 100 award and the Laureate Award by the Computerworld Honors Program. Before HUD, she was the associate CIO and chief information security officer at Transportation Department and she served as the vice-president for Business Operations and Response Services for Global Integrity and a a senior manager for Ernst & Young. Schlosser is a lieutenant colonel in the Army Reserves and did a tour of duty in the Middle East during the Iraq war. Just before the end of the year, a significant reorganization coming to GSA’s acquisition leadership. 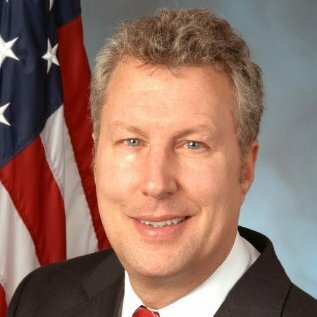 Ed O’Hare, Assistant Commissioner for the Integrated Technology Services (ITS) portfolio, who took the post in March 2009, will retire effective January 15, 2011, according to a memo by Steve Kempf , the commission of GSA’s Federal Acquisition Service sent to employees today. Mary Davie, presently the Assistant Commissioner of FAS’ Office of Assisted Acquisition Services (AAS), will serve as the ITS portfolio’s next leader effective January 16, 2011. ITS oversees some of the government’s biggest and most important contracts including the GSA schedule contracts, GSA’s governmentwide telecommunications contracts such as Networx , and GSA’s governmentwide acquisition vehicles , including the just announced Alliant. Joe Jeu, Assistant Commissioner for FAS’ General Supplies and Services (GSS) portfolio, has accepted an opportunity to continue his career at another federal agency, effective January 2, 2011. * As I mentioned, Mary Davie, presently the Assistant Commissioner of FAS’ Office of Assisted Acquisition Services (AAS), will serve as the ITS portfolio’s next leader effective January 16, 2011. * Bill Sisk, presently the FAS Southeast Sunbelt Region Commissioner, has agreed to act as the GSS Assistant Commissioner effective January 2, 2011. * Michael Gelber, presently the FAS Northwest Arctic Region Commissioner, will become the new FAS Pacific Rim Commissioner effective January 16, 2011. * Tim Fleming, presently AAS’ Deputy Assistant Commissioner, will be the Acting Assistant Commissioner for AAS. * Kelley Holcombe, FAS Deputy Regional Commissioner, will serve as the Acting FAS Southeast Sunbelt Region Commissioner. * James Hamilton, the Northwest Arctic Region’s Director for Customer Accounts and Research, will serve as the Acting FAS Commissioner in Region 10.